Final pre-election visit by Barack Obama to Iowa. | Flickr - Photo Sharing! Final pre-election visit by Barack Obama to Iowa. Democratic Party presidential candidate Barack Obama addresses a crowd in downtown Des Moines, Oct. 31, 2008, four days before the general election. 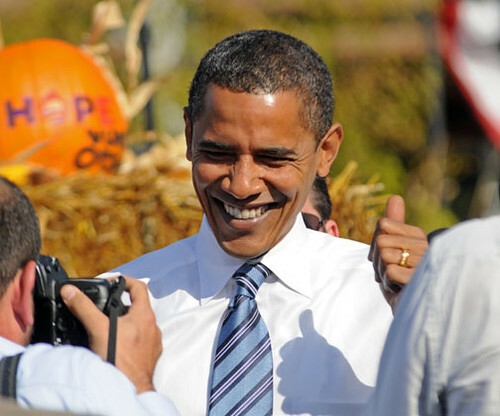 Obama smiles and gives a "thumbs up" to well wishers. mickeymou_111 and oopsydazy2020 added this photo to their favorites. Thanks for licensing this image as CC "by-sa" ! under the terms of the Creative Commons "by-sa" license.